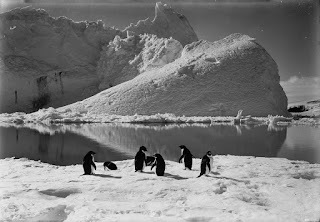 A handout picture released by the Scott Polar Research Institute (SPRI) at the University of Cambridge on December 7, 2011 as part of the exhibition at Cambridge university about Captain Scott's polar expedition entitled 'These rough notes and our dead bodies...' and taken on January 7, 1911 shows penguins on the ice opposite an iceberg as seen by members of the British Antarctic Expedition, 1910-13, or the Terra Nova expedition, in Antarctica. Laying bare their dejection and determination, the story of Robert Scott's bid to become the first to reach the South Pole is being told by the men themselves, 100 years on from the ill-fated expedition. 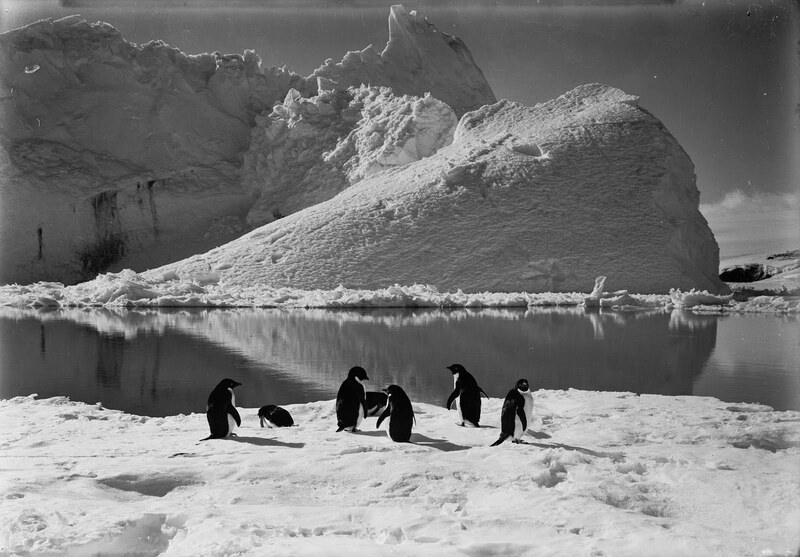 Letters, diaries and photographs from the Terra Nova expedition are on show in Britain to mark the centenary of Captain Scott's doomed attempt, many being seen for the first time.